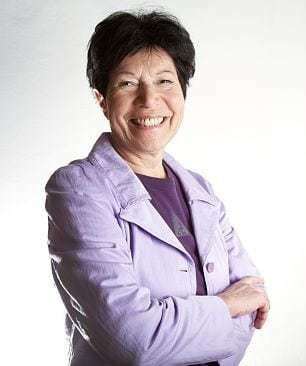 Helga Nowotny is an exceptional figure on the European science scene. She was the only woman president of the European Research Council, the EU's most prestigious science funding body. She has researched at nearly a dozen universities, including New York and Cambridge, Paris and Vienna, Bielefeld, Berlin and most recently ETH Zurich. When we met for a talk, she came from the Nobel Laureate meeting in Lindau. The next day she received the Leibniz Medal of the Berlin-Brandenburg Academy of Sciences and Humanities. Mrs. Nowotny, there were times where we indulged in the silly season. Today, the bad news follows you into the holidays. Some people don't dare to open the newspaper in the morning and wonder if it will continue like this. What's your notion? You can add that to the list, too, as far as I’m concerned. We now know that these securities no longer apply. This is overwhelming for many people. But we have to buckle up and learn to adapt to a world where our expectations are undermined much more often than before. In detail, I didn't see it coming that way. On the other hand, I know that the future is always uncertain and that chance plays an important role in history. That sounds like a platitude. Nevertheless, people in Western societies seem to have forgotten how to accept that. Economists continue to forecast economic developments, politicians speak of long-term predictability, algorithms calculate the chances of what happens and when. And yet suddenly everything turns out differently. Why do we live in such uncertain times? The most important reason is the greatly increased complexity. Things are much more interwoven than they used to be. Take the financial system. Billions are shifted back and forth across the globe in seconds, and suddenly a real estate crisis in the USA brings the world economy close to collapse. Or the so-called refugee crisis: a civil war in Syria produces millions of refugees who will soon be sitting in German shelters - and in the end the European Union threatens to go to pieces. So a lot of things that we took for granted suddenly change. Why don't we react accordingly? We just carry around too much baggage from the past when things were still working in another way. Our institutions were created for the problems of another time. Digitalisation is fundamentally changing our working environment, social media are creating new forms of participation that challenge democracy, our consumer behaviour tempers with the world's climate. On an almost daily basis we experience that what we regarded as stable turns out to be fragile. In his new book “Enlightenment now”, the American evolutionary biologist Steven Pinker presents a different view. Against the prevailing pessimism he conjures up the historical progress of mankind. Empirically, Pinker is right about his findings: There is less everyday violence and wars, child mortality has decreased worldwide, humanity is better educated and healthier than ever, we in the West live longer and at a level that previous generations would not have thought possible. But Pinker overlooks where things are going downhill, i.e. in climate and environmental protection, and he overlooks the interactions that arise as a result. In complex systems you have to include the negatives! A big role, because it increases our vulnerability. Take Fukushima: A seaquake leads to a tsunami that floods a power plant - and triggers the energy revolution in Germany. In retrospect, you can always identify the correlations. Predicting it is extremely difficult given the complexity. But stress tests, scenario analyses or simulations make forecasts better! Nowotny: Complexity research can shed more light on the uncertainty. But this in turn increases the demands. Why didn't anybody foresee Fukushima? We are, so to speak, in a race between the complexity that we are increasing and the attempt to get it under control again. So is the time for progress over? No, but it's not as linear as we used to think: that technology makes our lives easier, that the market ensures general prosperity or that democracy prevails worldwide. In addition, our demands change with every step forward. You yourself seem rather calm. What saves me from great astonishment is probably the fact that I get around a lot. Every year I spend about a few weeks as a visiting professor in Singapore. The small city-state has hardly any resources, lacks territory, and has a past as a bitterly poor country under British colonial rule. At the same time, I have never heard the word future as often as there. One always wonders: How can we prepare ourselves for the unexpected? What can we learn from others? Uncertainty is part of the understanding of society. I'm not interested in comparison, I just want to say that we lack this dynamic of the Singaporeans, coupled with the awareness of their own vulnerability. Our vulnerability is something we're experiencing pretty radically right now. What areas are going to be affected next? I think the impact of digitisation on working life is faster and more intense than we generally think. In health care, for example: If computers are better at diagnosing than doctors, this will have a massive impact on the medical profession, but also on hospital procedures or the organisation of health insurance. This creates huge problems in an area that has so far worked well in Germany. So something's coming towards us, but we don't know exactly what. How can one adjust to this uncertainty? Flexibility is important. We must learn to make detours and take risks. We find this difficult because our politics and our bureaucracy are heavily dependent on rules. So you would suggest more anarchy? ... then a lot would have been spared. If future historians ask them when the current European crisis began, they will probably name this unyielding insinstence on the rules, which has fired many anti-European forces. In your book, you advise embracing uncertainty. But modern society doesn't like that very much. I think most of us were faced with decisions in life that were difficult for us to make, where despite all our efforts we could not reach a clear decision rationally or emotionally. In the end we let chance or fate decide and somehow came to terms with it. That also means embracing uncertainty. But can an entire society do that? Political movements that promise a return to old rules and certainties are currently attracting the most attention. That's a dead end. The longing for what supposedly used to be better doesn't get us anywhere. What we lack is a positive vision of the future. But we can only develop them if we question the status quo. How can this be promoted? We need more freedom to think and try things out. I just attended a workshop in the studio of the Danish artist Ólafur Elíasson in Berlin - an unusual meeting of scientists with artists who were experimenting together. There were hardly any guidelines, and yet unusual ideas arose. Such freedom is needed not only in science, but also in society and politics. Can science be a role model? That's my plea! The interesting thing about it is that it has found a balance: On the one hand, it is open to new ideas and to constantly questioning its findings and - with better insight - changing them. On the other hand, it doesn't mean that everything is arbitrary. Researchers can usually agree quite quickly on the current state of knowledge. How to build consensus. In my view, this is the second great achievement of modern science. It has not only developed the principle of experiment and the method of empiricism. At the same time, it invented a social mechanism to create consensus about findings. That is why the first experiments were shown publicly, in front of witnesses from society. And this is still the case today: You have an insight, discuss it, criticise each other and thus create a basis on which things can continue. The term "fake science" is misleading. It is not a question of deliberately deceiving the public - that would be scientific fraud - but of publishing research work without quality control through peer review in unreliable journals. This is a problem especially in Asia, where there is enormous pressure to publish. And elsewhere, some scientists fall for it. However, the peer review system is on the verge of collapsing worldwide, as it can no longer adequately process the large number of publications. We should therefore insist on halving the number of scientific publications in the next ten years in order to improve quality accordingly. But everyone has to do their part. Many people think that the task of science is to disseminate reliable findings and to convey certainty. That's what it does, but it always formulates certainties in the awareness of the limits. When we ask the question whether a substance is carcinogenic, for example, the answer is not simply yes or no, but always “Under the condition that”, or “70 percent”, or “With the proviso that”. Absolute certainty is hardly ever found in science. But that sounds like even more uncertainty. Doesn't that feed skepticism and make science seem arbitrary to the public - and what would be important to communicate? The openness of this process! There are discussions, one looks at whether studies are reproducible, examines the details, argues. Thus a view emerges on which one agrees to for the time being. Even pupils have to learn to recognise when an argument in the social media is valid and when it is motivational. They also need to be taught more about how the scientific process works and how to deal with uncertainty without questioning everything. Mrs. Nowotny, asked again personally: Despite the world situation, despite the general uncertainty, you do not seem at all despondent, but almost cheerful. Why? (laughs) I have a certain basic trust. On the one hand, in the course of human history we have never had so many opportunities to make something of ourselves. Besides, I think it was quite unlikely that life came into being on Earth at all. It was even more improbable that the whole evolution would come from these primeval bacteria. And just thinking about what conditions had to come together for every new birht! And that we manage to be here today, to talk to each other, to understand each other - the improbabilities multiply. All this is one reason to be optimistic.